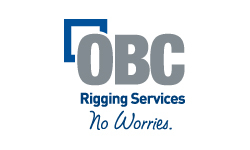 OBC Rigging Services offers a wide range of capabilities that extend far beyond just getting your equipment from Point A to Point B. Logistics planning, pre and post-move maintenance, new site preparation, proper support or containment fabrication, and even the temporary storage of equipment between locations are all important aspects of any relocation. Even if youâ€™re not planning a move, OBC Rigging Services can provide mechanical and millwright support for your operations. From routine maintenance, to lengthy repairs or complete rebuilds, we have the expertise to handle equipment from most any manufacturing or production-oriented operation.